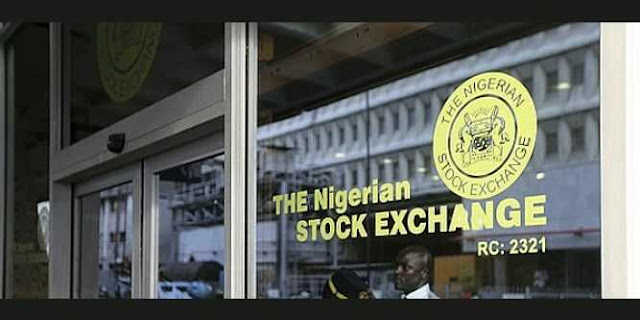 Whatever is happening in the Nigerian stock exchange right now is a cautious and speculative trading, despite the fact that some shares across all sectors are known to be fundamentally cheap compared to their future value, because only a few are ready to hold their portfolio for a long term. When is market confidence returning to the stock market? The truth is, as long as uncertainties are built around the forex market, monetary policies and overall economic growth, we may see this trend continue in the medium to the long term. See - What to look for when buying shares in American Stock Exchange. Is there still an opportunity to cash out from the Nigeria stock market? Absolutely, but it's only a few investors, that know where the cash is flowing to, invest wisely. I can bodly say that in the midst of the negative stock market performance, there are stocks maintaining a bullish sentiment in the same period. I will be exposing you to the type stocks you should buy right along with key fundamental factors - such signals are not limited to the stock mentioned here but I am only using it as a guide to know the best stocks to buy in Nigeria 2017, 2018, 2019, 2020, 2021, 2022, 2023, 2024, 2025, 2026, 2027, 2028, 2029, 2030, 2031, 2032, 2033 and so on. This tells you how powerful what I am about to reveal to you is. Apart from the 100% + impressive return of Okomu Oil Plc in the last 2-3 years, the same period NSE all share index fell more than 10%, the fundamentals of the companies reveals a positive future outlook that could drive their value to the northside. 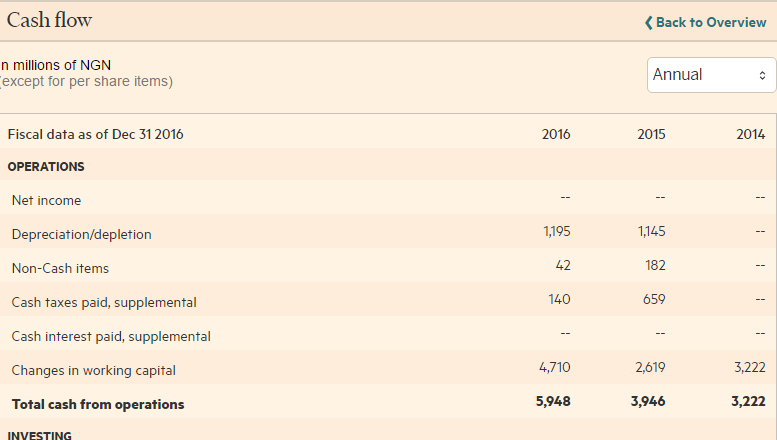 Our data is extracted from FT.com market data and analysis. Okomu Oil is an agri-processing company that deals in palm oil business - Aside from the economic importance of the product, they also export to countries abroad, a model that lets the stock enjoy more value from forex transactions ( as Naira losses against the greenback, this company benefits from exchange rate gain on palm oil export). The improvement in net income and EPS signified efficiency in managing expenses while rewarding more profit percentage of sales to shareholders as EPS. An EPS growth of 90% + compared to the 71.35% growth in share price also earns Okomu Oil a good buy as it has more room to appreciate. Here, we look at return on equity and debt to equity - Okomu oil has a healthy equity value driven by improved retained earning. It's ROE grew by 37.84% while debt to equity is at 0.12 which indicates less reliance on external debt, hence reducing interest expense and growing net income. The cash position of a company is another important factor you should look at; what percentage of profit earned are available as cash at the bank. A great place to look at is the cash flow statement. 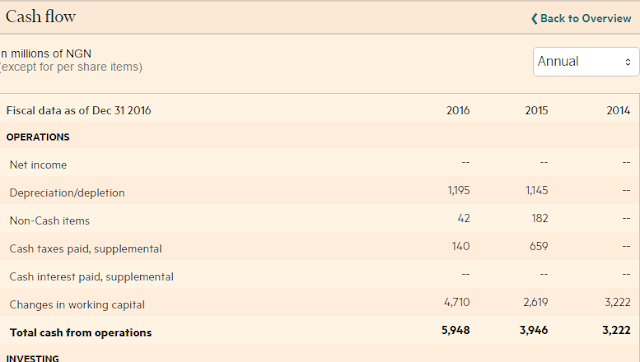 From the snapshot above, Okomu Oil cash flow in the latest 2-3 years has been impressive, from 3.2bn to 5.95bn - this is a key reason the company has been consistent in dividend payout to equity holders. 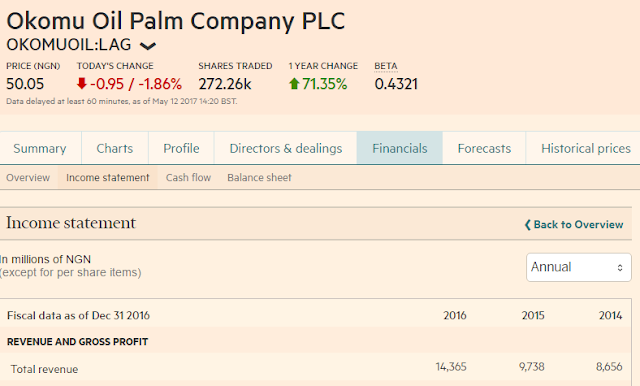 If you had bought equity shares in Okomu Oil in 2014 at N30-N35 per share, your portfolio should be up by 40% - that's even an additional unrealized gain - plus the dividend income receivable annually. 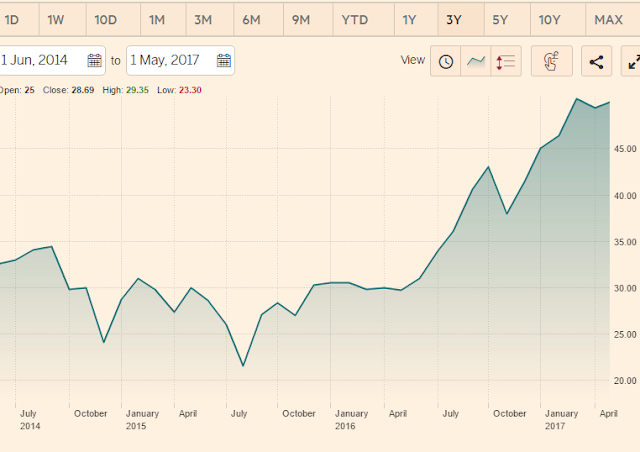 This is a typical analysis of Okomu Oil price - one of the best stocks to buy in Nigeria right now - a stable company with positive operation income, impressing profit, improving cash flow, low debt to equity and top performing stock price year-on-year.